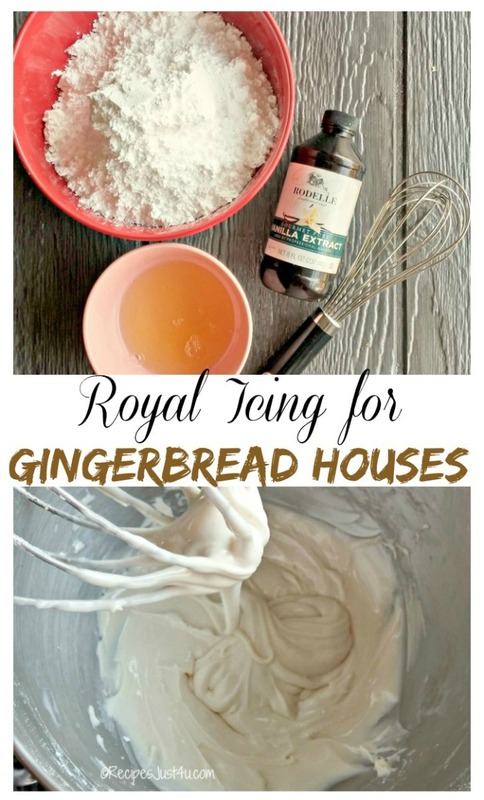 I love making Gingerbread houses for the holidays and a great starts with a recipe for the perfect Royal icing. It makes the house easy to put together and tastes great, to boot. Gingerbread houses are so much fun to make. We have a different one every year in our house. It is a tradition that we started when Jess was a little girl and it continues to this day. Even though she is a 28 year old woman who just visits for the holiday, we still make one when she comes home. Be sure to check out my tried and true cooking tips for more tips for helping out in the kitchen. Make sure your Gingerbread house gets the perfect start with this royal icing recipe. Some years, I make the whole gingerbread house from scratch and add the icing to it. Other years, I just buy a kit. But even with the kit, I like to make my own icing. 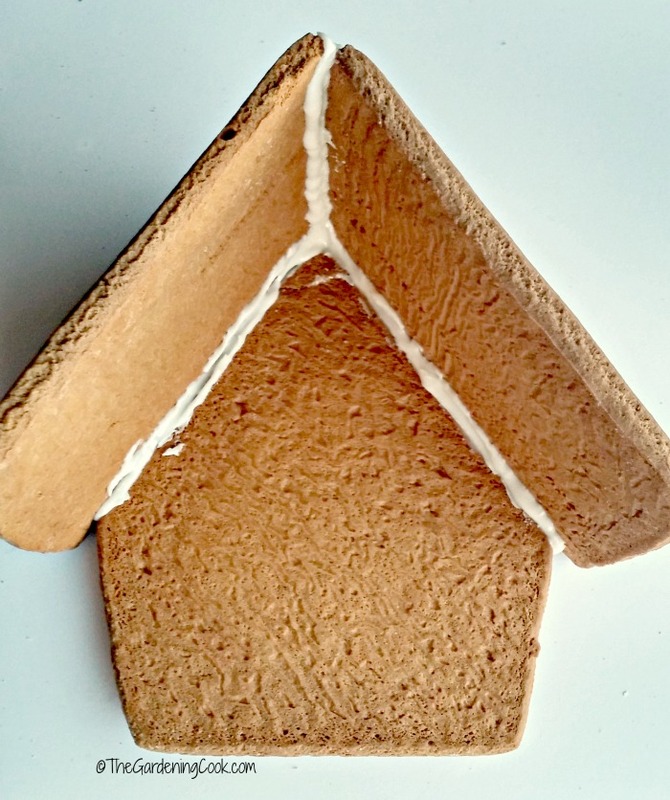 It is so easy to do and the egg whites make it perfect for icing a Gingerbread house which needs to be sturdy for decorating. Making the perfect Royal icing for your gingerbread house requires just three ingredients. 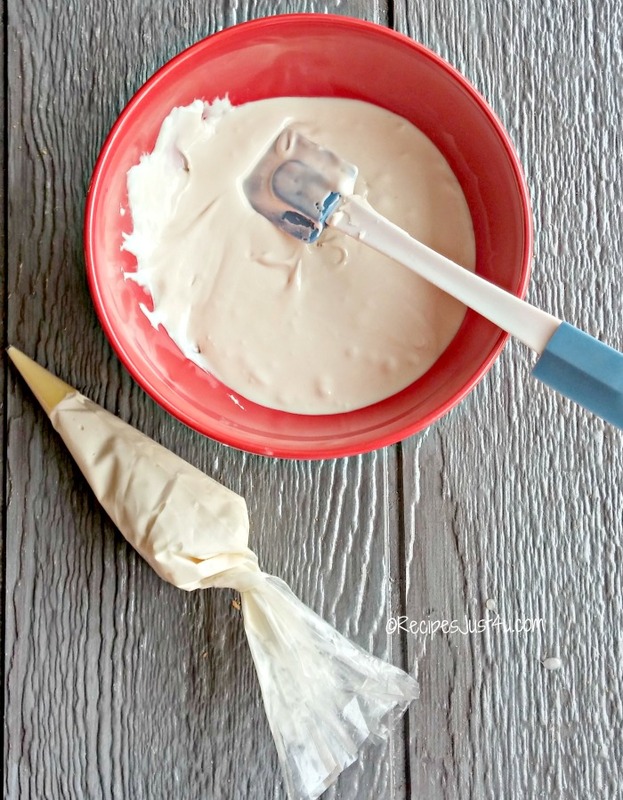 Making this royal icing recipe could not be easier. Just three ingredients and a bowl and you are done. How great is that? 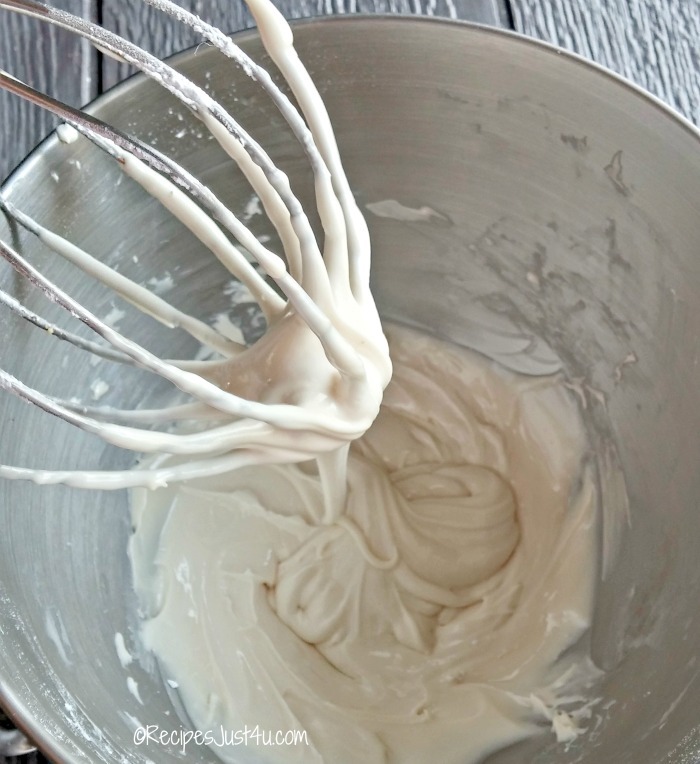 Just mix together all of the ingredients in the bowl of a stand mixer. You will want the icing to be smooth and thin enough so that it can be pressed through a pastry bag. Place the royal icing into a pastry bag that has been fitted with a writing tip. Press the icing out to join the parts of the house first and then use it as a “glue” for the other decorations on your Gingerbread house. This icing is great for attaching the seams of the house parts together. And it also does double duty to frost the outside area to add windows door and more. It is very easy to pipe and work with. Let the icing dry until it has hardened. This could take several hours. Don’t rush the project. I love how easy it is to cover the roof area, making icicles and so much more. Plus, it tastes great if you decide to eat the gingerbread house. You want it to stay stuck together and this takes time. This is the beginning of this year’s Gingerbread house. See the whole tutorial here. 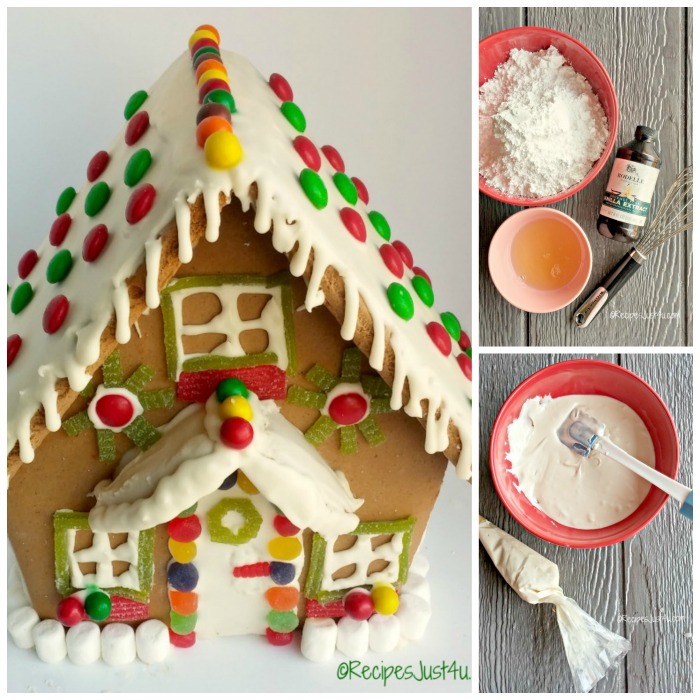 If you would like to see tips for making the perfect Gingerbread house, be sure to visit my main site – The Gardening Cook for 15 tips. 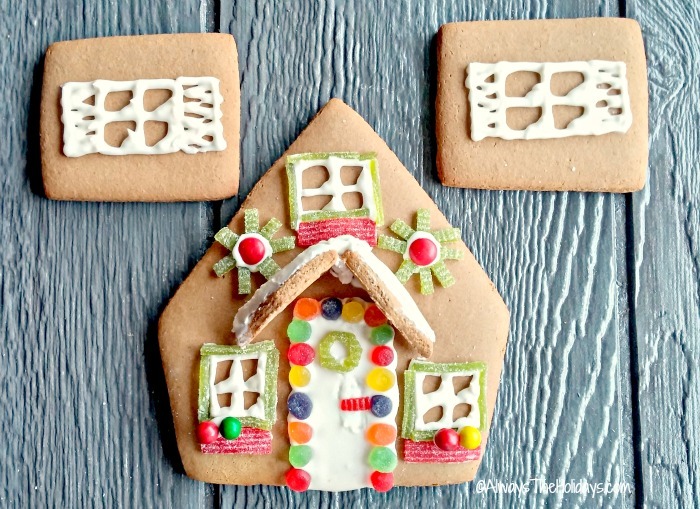 Looking for inspiration for the design of your Gingerbread house? 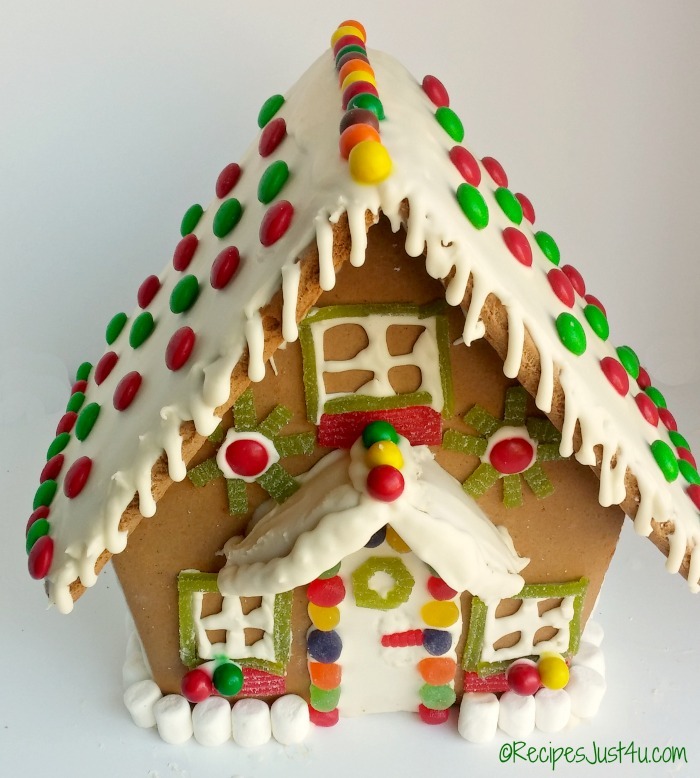 See these 17 great Gingerbread house designs on my holiday site – Always the Holidays. Would you like a reminder of this royal icing recipe? Just pin this image to one of your Food boards on Pinterest. 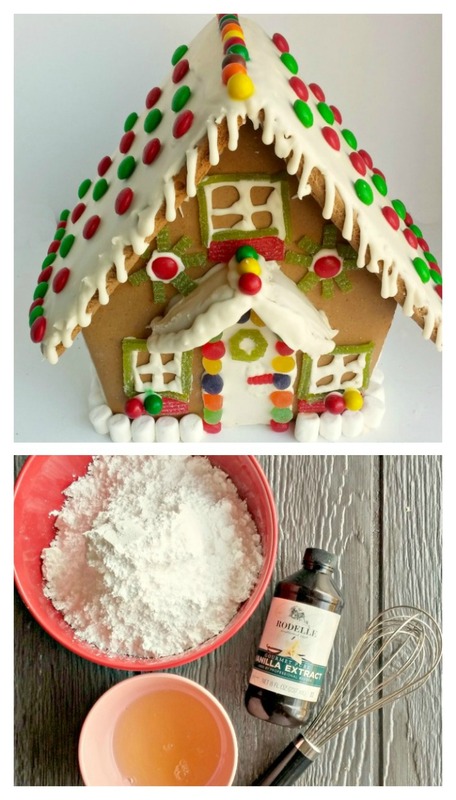 Admin note: This post for royal icing first appeared on the blog in December of 2015. I have updated the post to add a new recipe card, more photos and a video for you to enjoy. 3 3/4 cups of confectioner's sugar, sifted to remove any lumps. 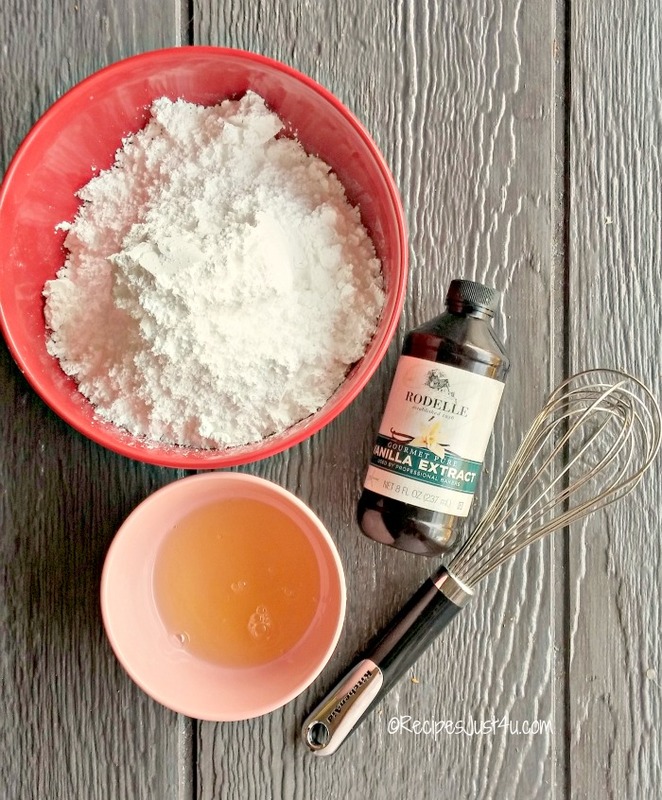 You can add more lemon juice or vanilla extract if needed. Place the icing in a frosting bag fitted with a writing tip. Pipe the pieces of the house together first and then use it to add the decorations. Be sure to let the icing dry completely between stages for best results. Nutritional information is for the icing only. Calories are for 1/12 of the entire recipe. Whole recipe has 1796.6 calories. ← Chocolate Cherry Macaroons – Only 4 WW Points!